As a Military General, where should you spend your time? As a Project Manager is there something to be learnt from military leadership in terms of where to spend your time and when to stand back from the action? I was watching the film "Sink the Bismarck" recently which was unusual in that it focused a lot on the analysis and decisions being made back in London rather than at sea. This is an analogy for the Project Manager who stands back and analyses based on reports from the team, looking where the issues are and modifying strategy appropriately. It is sometimes called the 30,000 feet view. Then there are the military leaders who work hand in hand with the troops. One example of such a leader which springs to mind is H Jones who, as commanding officer of 2 Para, died leading his troops in the battle of Goose Green in the Falklands War. This is an analogy for the Project Manager who gets involved in the detailed work of the team and as such knows far more about the low level details of situation on the ground and thus can be more reactive in short timescales. Which analogy is best for a Project Manager? So which analogy is best for where a Project Manager should spend his time? In short, I think both have a place and time. Let me explain. I would say that you should always spend a proportion of your time each week studying the "big picture", working out how to tweak your strategy based on the feedback on progress and issues that have occurred. In a previous post I have suggested that a good time to do this is at the same time as producing a weekly status report. 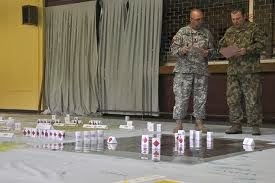 However, there are times, especially when issues have occurred, where you need to be there on the battlefield gathering information in real time and working with the team to devise the resolution path. To aid this, I believe it is useful for the Project Manager to have some background in the technical skills which the team are utilising. In my field of IT Projects, I have come from a software development background and have sufficient background knowledge to aid communication with technical team mates. 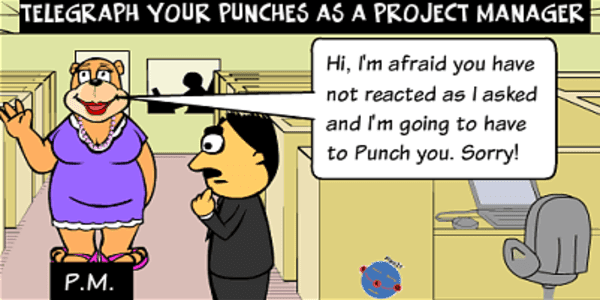 So there are good parallels between being a Project Manager and a General fighting a battle. Just pick your time on when to be in the trenches with the troops and when to retire back to the war-room! 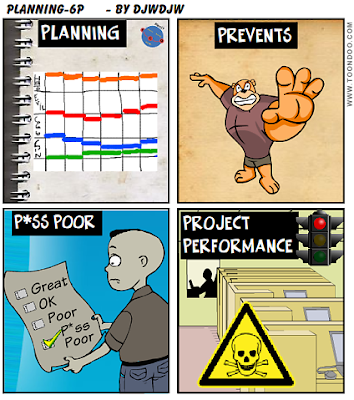 I've met several Project Managers who view writing any Project status report as a chore. I think the opposite. I like to write a weekly status report (or Highlight Report as PRINCE2 likes to call it). Let me explain why. By undertaking the exercise of writing a report it helps force yourself to undertake a top down review of where the project is. When under day to day pressures, sometimes it is difficult to find the time to step back and do this. how are we progressing against key tasks? did we achieve what we set out to this week? what do we need to achieve next week? is the critical path threatened? forecast of key milestones in the future and have we met any this week? review of issues, what should I highlight? review of risks, what should I highlight? 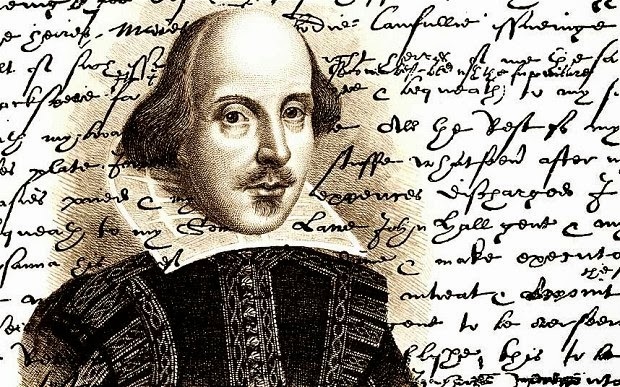 what am I going to say as a management summary statement? By writing and distributing the report you should be achieving part of your communications strategy to keep relevant stakeholders informed. My belief is that once a week I should keep the Sponsor informed of status rather than wait for formal Project Board Meetings which tend to be monthly. Reinforce your status. Many people won't be aware of what you are doing day to day. 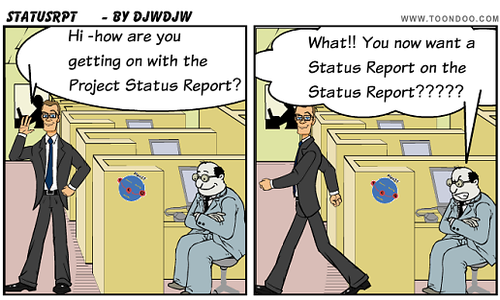 By having a well presented status report informing people, you reinforce your status as a professional Project Manager. Having a set of weekly status reports is very useful when sitting down at the end of the project to look at lessons learnt and write a closure report. So don't moan. Embrace the concept of the weekly status report, plan your week to produce and issue to an agreed schedule (I like drafting on Friday afternoon, tweaking and issuing on Monday morning). If it shows one thing to the outside world, it shows you can at least manage yourself!! 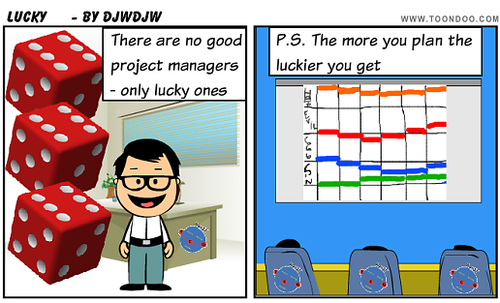 So you want to be a Project Manager? Just don't expect to learn it all by just going on a PRINCE2 course! I've heard the story a number of times at client sites ... "My training for taking the role as Project Manager was going on a PRINCE2 course". This is wide of the mark. PRINCE2 is a project management methodology. 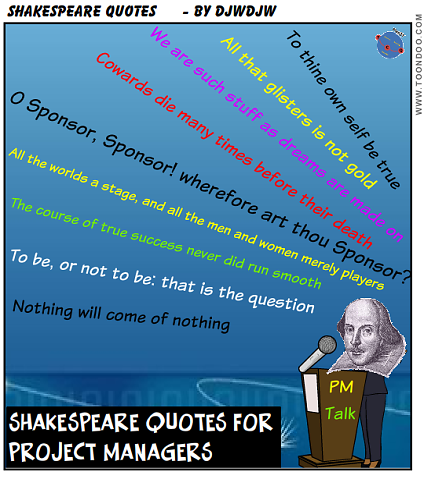 It is good at what it does but it is far from the whole story in terms of being a Project Manager. What does PRINCE2 give a Project Manager? PRINCE2 defines a common terminology to be used in the project, key principles (e.g. management by exception), processes (e.g. initiating a project), "components" (e.g. management of risk) and some techniques (e.g. product based planning). So it represents good training in many of the "technical" aspects of managing a project. 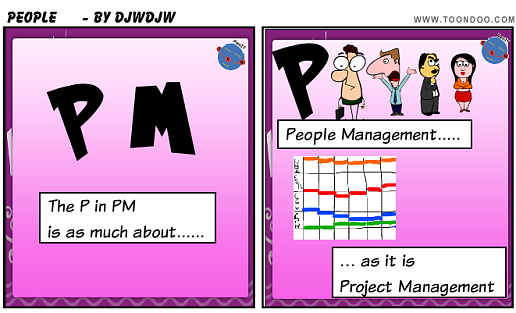 What is missing in PRINCE2 for a Project Manager? Self motivated / Resilient to setbacks? Experience also improves your performance. Think about learning to drive, you took lessons and passed the test but improved much more from real world experience. I remember a management course I attended a few years ago now. The "team" of 8 people was left sat in a room for 10 minutes to stew a bit and then someone came into the room, left a card (containing the "project brief") on the table and promptly left without saying anything. The next 30 minutes were very revealing in that lots of people read the brief, there were lots of discussions "I suggest we do x, y...." but no conclusion and no action. We finally ran out of time with nothing achieved. It was a pretty clear demonstration of the need for a nominated leader, even if the leader is chosen by the group themselves. 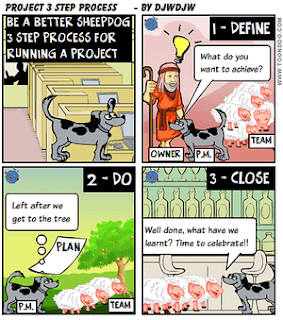 So completing the analogy, if the Sheepdog is the Project Manager, who is the Shepherd? 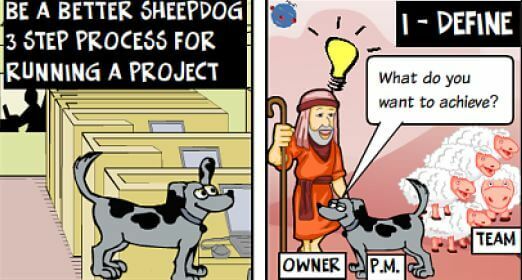 The Shepherd is the Project Owner (Sponsor) who has an objective and instructs the Project Manager to manage the Project team (Sheep) to achieve that objective. I'm a great believer that a bit of humour combined with the odd Proverb and visual image is a good way to convey a message and importantly act as a memory jogger so you will see these in the blog.